What Lexie Loves: The Christmasaurus | A Festive Children's Book + Live On Stage! The Christmasaurus | A Festive Children's Book + Live On Stage! Hola Lexicans! Today I wanted to do a quite quick post, informing you of something I think y'all should check out before Christmas. Every year in the run-up to Christmas, my mum reads my siblings and I a chapter or two of a Christmassy book (bear in mind, my brother is 8 and my sister's 11, so we try and find books that we'll all enjoy). It may sound cringe or cheesy, but actually I love my family, I love books and I love Christmas, so I think it's a really lovely tradition we have that I wouldn't want to lose. 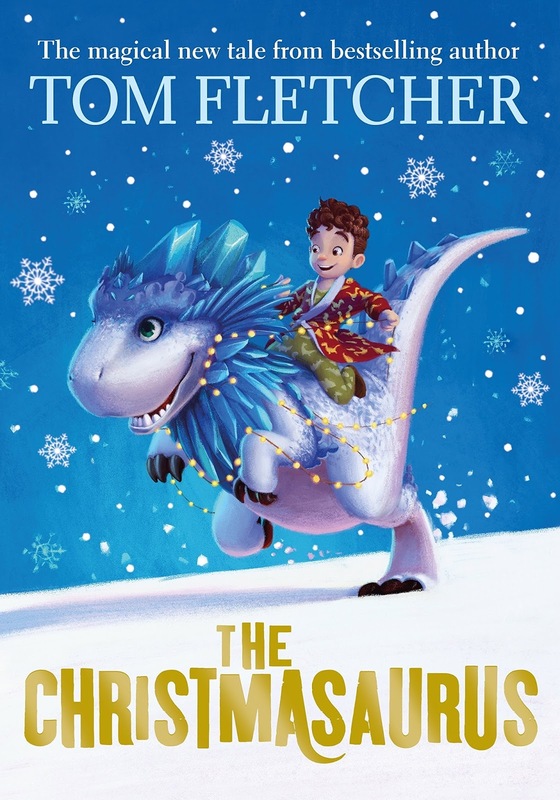 This year, my mum selected for us to read The Christmasaurus by Tom Fletcher, and whilst I hadn't ever read any of Fletcher's books before, I had heard good things about him as an author. It's probably too late now (as it's only a wEEK UNTIL CHRISTMAS WHAT) if you want to read just a chapter or two a night as a family thing, but if you have the time each evening to read more chapters, you could probably finish it in the time (or you could always continue until after Christmas day) OR if you just wanted to read it on your own, it's a relatively small book and I know I could finish it in a few days. Whilst we obviously haven't finished the whole book yet, so I can't give it a full review, I already know this is a sweet and heart-warming book that also has a surprising about of GOOD jokes. 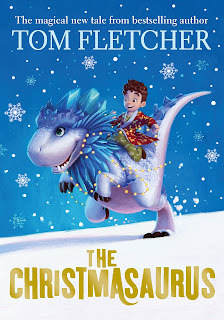 The Christmasaurus is very funny at times, and I love Tom Fletcher's narrative writing style - even though I don't normally read MG anymore, I might have to check out more of his books if I want a nice, quick read. At the same time, it has a great balance of comedy with emotion. I don't normally cry at books but I NEARLY CRIED MULTIPLE TIMES during the reading of this book so far. like what? WHAT? so yah. Alsoooo this book has diversity which is also great to see in an MG book - death of parents, divorce (and as a result single parenting) and disabilities are all key in this book. Final thing that I had to mention (ahahah this was meant to be a short post but it's just as long as my posts normally are!) is that The Christmasaurus is coming live on stage in a few days, from the 21st - 28th December at the Eventim Apollo and there are still tickets left, so if you're in the UK and you want something Christmassy to do in the lead up to, and couple of days after, Christmas Day I would say I'm sure the show will be great. I'm definitely going to persuade my parents to take us, although we've been very lucky this season and they've already treated us a lot, so it's unlikely! Even so, if I do end up going, I'll definitely give you guys a review, and will give The Christmasaurus a proper review once I've finished it. So that's my (not-so) quick and short post informing you on a really lovely, heart-warming book this Christmas that I would 110% recommend if you have the time. I'll be back soon with a cake review (aren't they just the BEST posts?! ), review of The Shard brunch (as we went there this morning) and a What I Got For Christmas 2017.